Directions: It is located on the eastern part of the Svetosavski Trg square on the Vracarski Plato in Belgrade. One way of getting here is by public transportation. The station which is located right in front of the church is called Karadordev park and the public transportation lines that will get you there are 9A, 30, 31, 33, 39, 42, 47, 48, 59, 78, E7, E9. 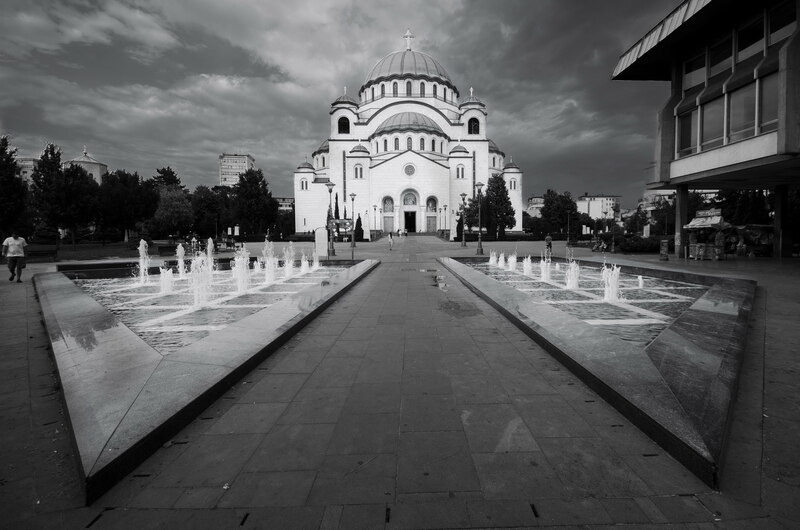 The Cathedral of Saint Sava (Hram Svetog Save) is the largest Serbian Orthodox church, the largest Orthodox place of worship in the Balkans and one of the largest Orthodox churches in the world. 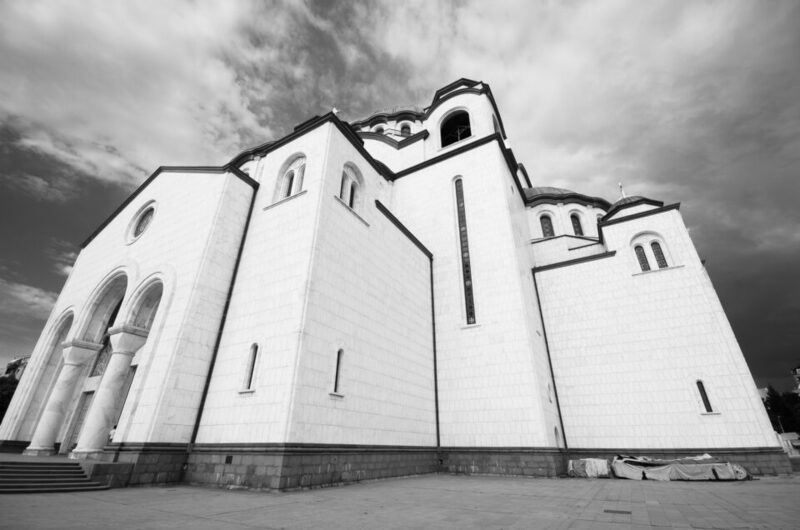 It is one of the must visit places in Belgrade. And you certanly cannot miss it simply because of it’s size. You can see it from different parts of the town. It is a place that Belgrade is known for. The Church is 70m at it’s highest point and if you count in the gilded cross it is an additional 12m higher giving it the height of 82m. This cathedral is a delight for taking pictures because of it’s symetry and it’s clad is in white marble and granite so it really pops out. The interior of the Cathedral isn’t very interesting since the mosaics are not done yet. 1. Because of it’s size you might want to bring a wide angle lens in order to get close enough and still get t in frame. 2. Also because of it’s size you could carry a longer lens to get the details of the cathedral. 3. The Chatedral has a fountain in front of it so try bringing a tripod and an ND filter. 4. The park in front is quite interesting for street photography.